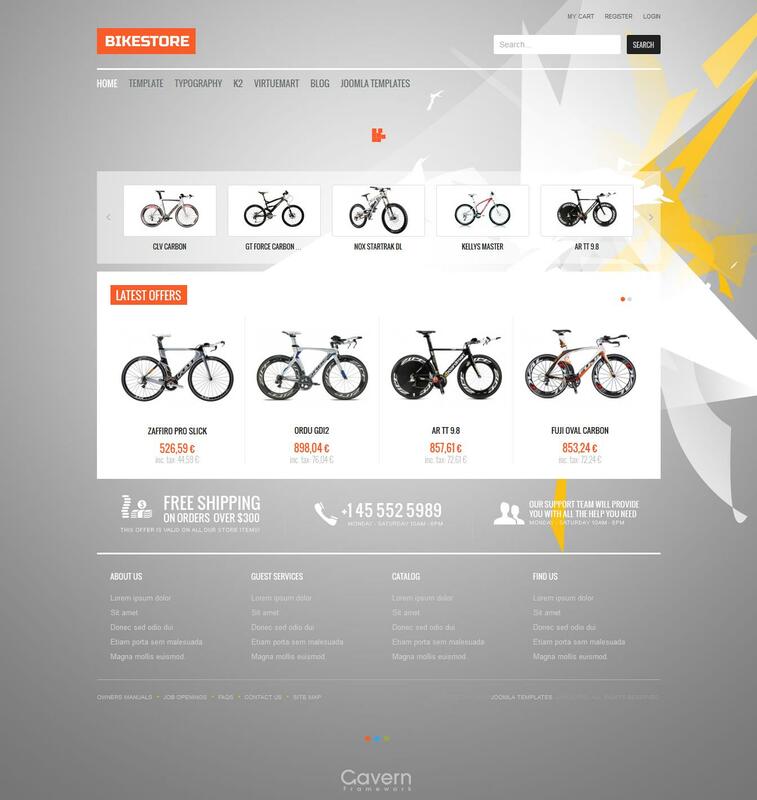 GK Bike Store - online store new template for Joomla 2.5 from the design studio GavickPro. This template contains three predefined color schemes (red, blue and green), and also supports the display on different devices. Among the major enhancements that are supported on the template worth noting online commerce component VirtueMart, K2 catalog with the addition of K2 Store and studio modules: Tabs GK5, News Show Pro GK4, Image Show GK4.